Here are 5 more frequently asked questions in regards to knee pain and arthritis in women. What if my knees are already making grinding noises when I climb or descend stairs or get out a chair? Answer: While knee grinding noises can be present in up to 40% of women’s knees without pain, this is not the same as saying it is normal for knees to make grinding sounds. The grinding is called crepitation (which is a sound like walking on snow). Many doctors tend to ignore its importance. This in unfortunate, since in my experience, knees which grind often have significant joint wear on the undersurface of the kneecap. Chondromalacia (chondro=cartilage; malacia=softening) of the patella (kneecap) is the term for this situation. The condition is nearly synonymous with kneecap arthritis. Excessive knee bending exercise or impact in these patients can lead to the rapid onset of crippling arthritis. Many of these patients are younger than 40 years of age and have to give up what they would normally do daily and are told to live with their pain. Can I be born with reasons for my knee pain or arthritis? Answer: Yes, there are significant congenital reasons for women’s knee pain and problems. Most commonly, the kneecaps are not properly aligned. This “maltracking” of the kneecap leads to lifelong symptoms often staring with a history of kneecap pain and dislocation in childhood and leading to premature arthritis in midlife. Another congenital reason for pain in the female is patellofemoral dysplasia (meaning that the kneecap and its groove are not the proper shape. Such factors lead to surface wear just like the tire on your car with improper alignment. If I have knee pain that interferes with my daily activity, work, or exercise, what should I expect my doctor to say, do or not do for me? Answer: Knee pain that interferes with and/or prevents normal activities and exercising must be taken seriously. You should expect a thorough history and exam by your doctor, with special attention to your overall leg alignment and knee cap movement. X-rays should be taken of your knee and knee cap to check for wear and malalignment. In some cases, MRI and bone scans are useful, especially when there is fluid or swelling. Most patients have muscle weakness and leg alignment issues that can respond to physical therapy. A proper exam should educate you and teach you how to live and remain as comfortably active as possible. What about the Internet? Why can’t I just look up knee pain and go from there? Today, looking up the answers to medical questions on the Internet is a common practice, but be careful. First, make sure what you are reading relates to the diagnosis you have. The point is everyone is at least a little bit different. As much as the Internet can provide information, you can have a hard time knowing whether the information is both accurate and really applies to your situation. Also, remember that today, the Internet is filled with commercial motives and advertisements that either will not help you or almost always will cost you money. Knee pain and arthritis treatment is a multi-billion dollar business. If I do decide to look for information on the Internet, are there any sites that are better than others? www.methodistorthopedics.com : Find under the search term “chondromalacia patella”. Good illustrations. Remember: While these sites may provide initial information, your exact diagnosis and treatment will not be determined solely by what you can read. These sites offer a good starting point for discussion with your physician or therapist. If you are a female with a history of knee pain, knee injury, or arthritis, you are not alone! Knee complaints have overtaken low back pain as the #1 complaint in the average Orthopedic Clinic and most of those complaining are women! Add to this that slightly greater than half of all joint replacements of the knee are done on women in the United States and you have plenty of reasons to learn more about your knees and how to make them last. Here are the answers to 5 questions about the female knee that will help you to understand how to improve your chances of avoiding pain and eventual surgery. What factors have contributed to the current pattern of painful knees in women? Answer: Knee problems are likely getting worse in women, as they now participate in many of the same activities, sports, and occupations as men. This is a good thing, as being fit and in shape is important. However, female anatomy is different, in that the pelvis is a little wider, and this ultimately puts more stress on the knees. There is more on this below. What differences between men and women may contribute to the observed greater injury occurrences in women? Answer: Females are more often likely to have more inward rotation of the thigh bone. When this happens, the rest of the leg has to compensate for this. 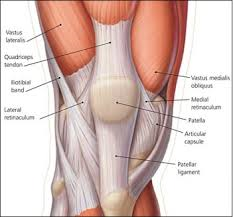 The knee joint and kneecap end up taking extra stress. Women’s knees accumulate loads of up to 6-8 times body weight during running and jumping activities. Another factor thought to contribute to arthritis is the lack of estrogen that occurs in women after menopause. Family predisposition (genetics) may play a role, too. Is it true that if I exercise improperly I can actually cause more harm than good to my knees? Answer: Absolutely. Proper exercise and fitness requires a balance of frequency, intensity and duration. Some years ago , I conceived the “Rule of Too’s”, which says your chances of having an injury go way up if you exercise too hard, too often, too little recovery or rest, too much of the same activity, too quick or fast an exercise, etc. We talk about “using it or losing it”, but as we age, especially over the age of 50, your knees cannot recover or adapt to stress as fast. Are there popular fitness exercises that can be particularly tough on the knee? Answer: Yes. We have programs that claim to train your knee in less than 10 minutes a day! Women are a consumer target for enrollment in these fast fix schemes which tend to offer cheaper cost, availability, and shorter time commitment. Beware of such programs as Curves and Crossfit if you have had prior injury, swelling, knee pain, or have been told you have kneecap problems. Women over 50 years old have reached the decade when many knee problems and arthritis start to become symptomatic. You can easily aggravate any prior or existing problem. Bent knee exercises such a step aerobics, steppers, squat lifts, and lunges are particularly likely to be bad for you, especially if your knees already make crunchy or grinding noises on stairs and with knee bending. If I have started an exercise program, what do I look for to know if my knees are OK? Answer: There are several key things about your knee to keep track of to know if you are doing more harm than good. First, how does the exercise make you feel—during, the day after, and week to week? While everyone may experience some aches and small pains when starting to exercise, what counts is the intensity of the pain, how long it lasts, and whether you feel better as time goes along. Any pain that increases or comes back every day is a red flag. Additional red flags include limping, swelling (stiffness), warmth (feel your knee with the back of your hand and compare to your non-painful knee), loss of motion (can you knee fully straighten and can you do a deep knee bend), and giving way or catching. Do not train through pain. Do not do exercises that cause your knees to make grinding noises. If any of these symptoms occur, you should seek orthopedic advice. Stay tuned for Part 2 of Knee Pain and Arthritis in Women. To be posted next week!